Our custom rod ratio designed for optimal cylinder pressures in high horsepower applications. Titanium rods are cnc cut over 55 hours and each for is hand polished and balanced for 6 additional hours for a perfect finish. 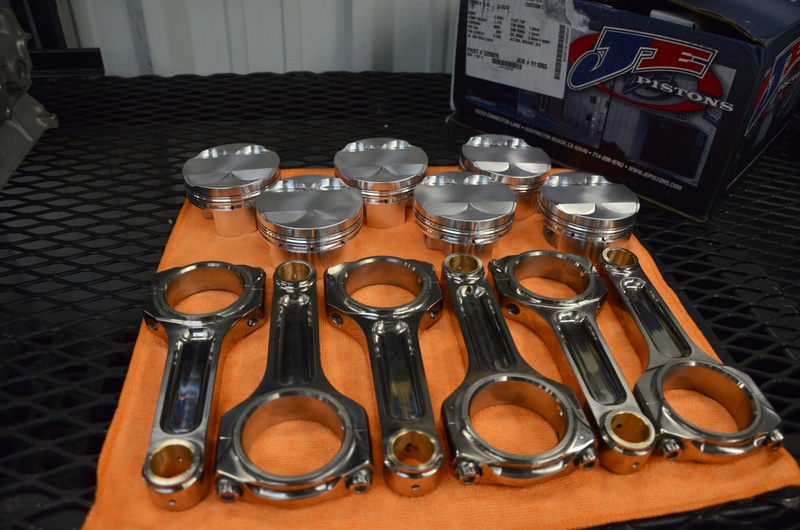 Custom offset forged pistons made by JE exclusively for The Shop complete this indestructible package. We have used this combination in many 1000+ hp 2JZ’s and have not broken a piece yet!